Are you a big fan of the X-Men? Would you like to walk in the shoes and share the adventures of powerful mutant Magneto? 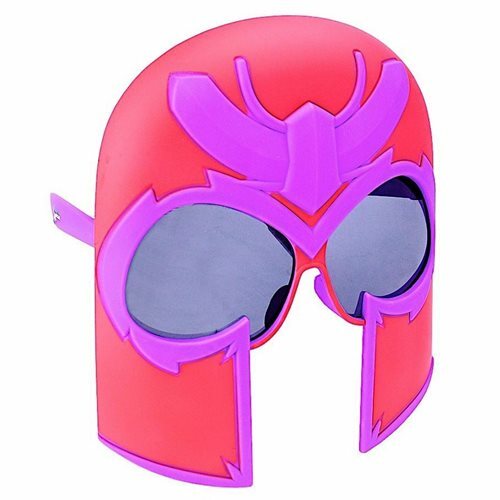 You can (at least, to some degree) by ordering these sensational X-Men Magneto Sun-Staches! One size fits most superheroes, and the shatter-resistant lenses feature 100% UV400 protection.